After warning that she would “filet” fired former FBI Director James Comey when he appeared on “The View,” Meghan McCain asked him some tough questions Wednesday about his book and recent comments he’s made on the Republican Party. “I don’t think of it as my politics, I think of it as my values,” Comey replied.
.@MeghanMcCain: "The big issues I have — I don't want to know your politics. And a lot of the things you're saying are highly political." 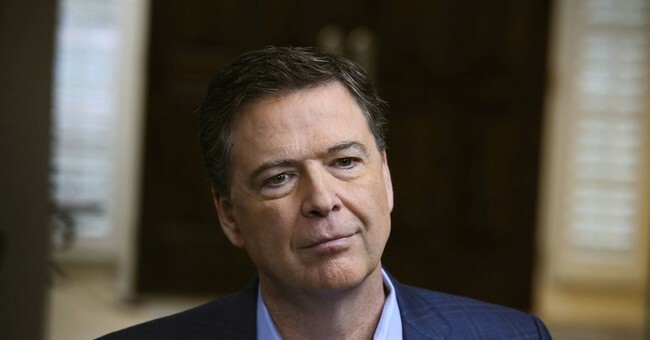 “I brought it up because I was asked about it,” Comey argued. “You have to understand how this looks to Republicans,” McCain said citing an interview in which he called the Republican party “ego-driven” and not reflective of values. “You sound like a political commentator to me,” she said. “I think it’s worth noting that David Axelrod, a big Democrat, a former chief strategist to President Obama, said ‘I have no doubt about its brilliance when it comes to book sales. Maybe he should have called it Higher Royalties,’” she said. Comey said he would encourage Axelrod to read his book. Comey's also hoping that Hillary Clinton will come away from reading his book with the conclusion that he's "an honest idiot."